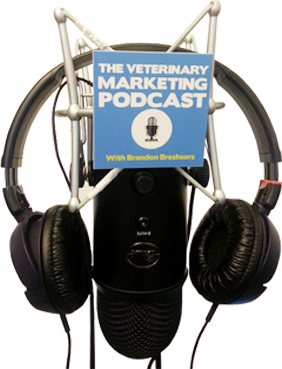 In this episode I get to interview Dr. Andy Roark, who is an expert at creating awesome content for the veterinary industry. As Dr. Roark mentions, with social media and the internet almost everyone has a larger voice and a greater ability to reach more people than ever, the only problem is lots of the Veterinary industry isn’t using this to their advantage. Dr. Roark shows us how to engage clients better and how to become a better story teller, while helping to educate your clients and build a better relationship. We talk about everything from what he is working on right now to how he comes up with ideas for his new content. This episode is packed full of awesome stuff, so be sure and listen to the whole interview! If you’ve been living under a rock, and never heard of Dr. Andy Roark, he is a national award-winning columnist for DVM360, and regular contributor to Vetstreet.com. He also writes frequently for a number of other publications. Dr. Roark has served on the Veterinary Team Brief Advisory Board and the National Veterinary Business Management Association Advisory Board. He owns his own consulting firm, and is a member of the VetPartners consulting group.